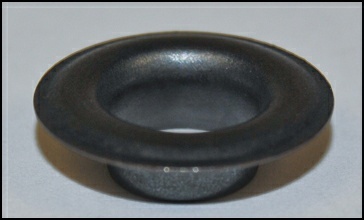 Buy 3/8" inside diameter self-piercing metal grommets from METALgrommets.com in 5 different popular metal finishes. All of the grommets are solid brass and will not rust! 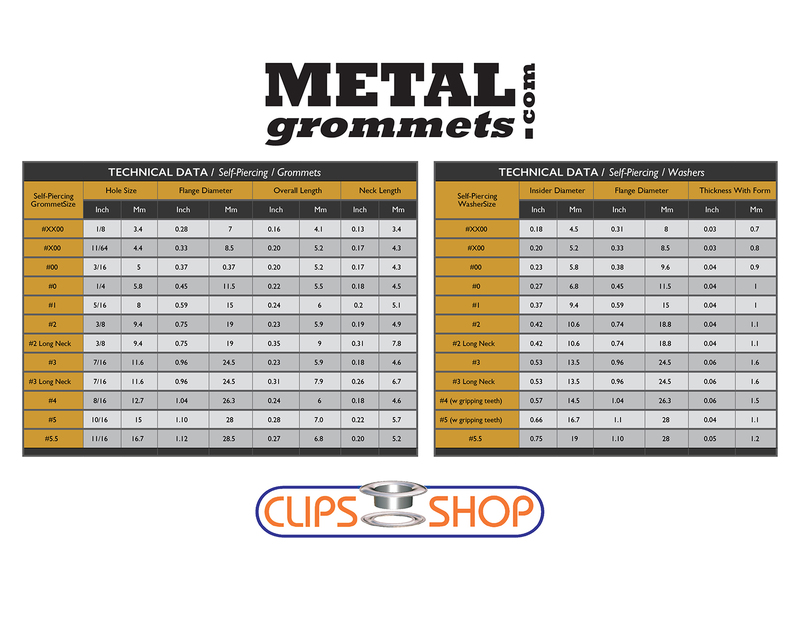 Our #2 banner grommets are sold in bags of 500 sets of grommets & washers - 1,000 pieces total per bag. The self-piercing grommets we sell are perfect for ClipsShop self-piercing grommet dies. 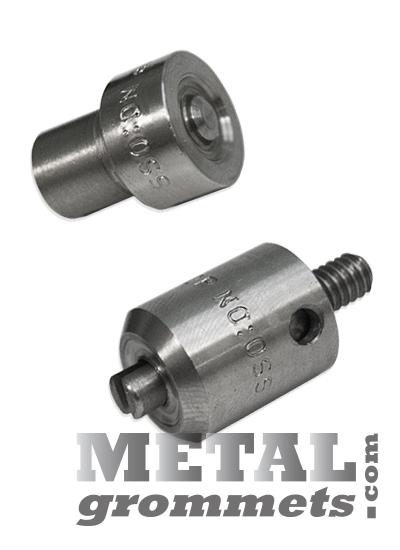 They have also been successfully tested by many customers on both Micron and Mikron #2 self-piercing grommet dies and hand presses. 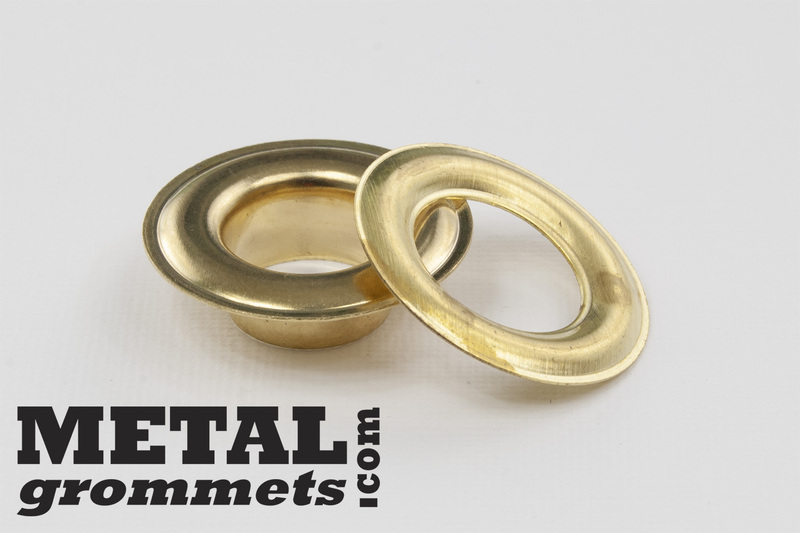 Self piercing metal grommets are not the same as sheet metal grommets. The self piecing banner grommets are not designed to be applied with hand setters. All #2 sized grommets, both regular neck and long neck, are sold in bags of 500 pairs. 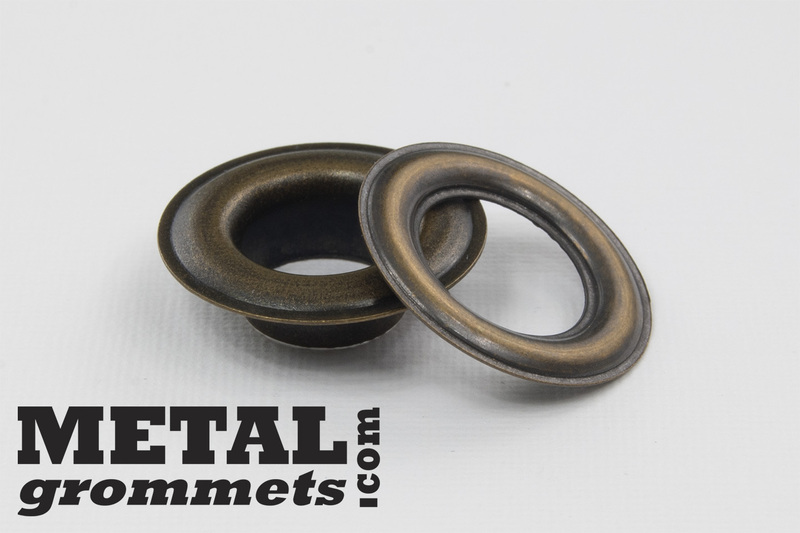 We sell all sizes of ClipsShop grommets in antique brass, brass, chemical black oxide and nickel finish. 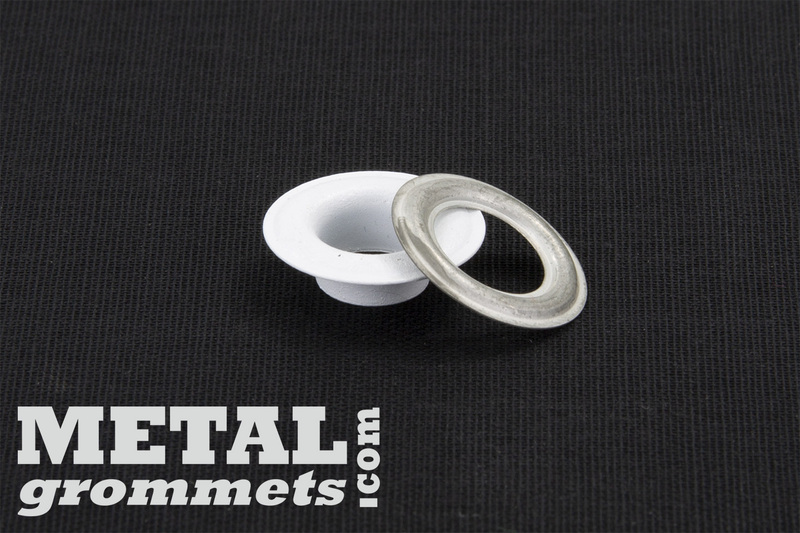 0.375" ID #2 metal grommets are also stocked in a white painted finish. The white painted grommets are tin coated brass and have a small surcharge as listed and come with tin washers. Please note that different manufacturers' grommets are different sizes and also have different names. Before you buy grommets, start by looking for the proper inside dimensions to meet your needs rather than the name of the grommet. Inside diameter can vary after setting depending on pressure used. Test anything that will pass through the grommet hole to make sure you buy grommets that are large enough for your rope or fasteners.